Giving compliments to others: just one of the many ways to build a better student! What better time than Valentine’s Day to encourage your students to tell their classmates what they love most about them? 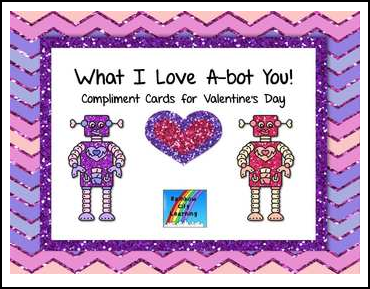 These adorable robot-themed cards are perfect for use as compliment cards from student to student. Full-color and black/white versions are included. Print on cardstock or regular copy paper.